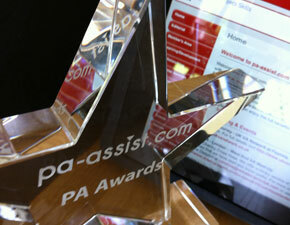 Angela Garry's PA & EA Blogspot: Calling all PA-Assistcom members - have you voted yet on the Members' Voice Awards for 2015? Calling all PA-Assistcom members - have you voted yet on the Members' Voice Awards for 2015? My work is nominated in three different categories in the PA-Assist Members' Voice Awards for 2015 - so if you are a member of the site, your votes would be very much appreciated! "PAs, EAs, VAs and Senior Admins" for Best On-line Forum for PAs. Wow! The race to vote for the 2015 final 'hot lists' are off to a stunning start! With the nominations stage indicating that we are going to see some very closely run categories this year, our 12,500+ pa-assist.com members are certainly active in wanting to recognise who they see as the leaders amongst the profession. ... get straight to the voting here! Voting closes Midnight, 31st October 2015. The 'Most Popular' in each category will be announced 20th November 2015. With more than 7,500 votes cast last year, it certainly provided a very popular format for us to 'help you, our members, to have your say', and represent some of your feedback to those that work to support the profession. Most Popular winners for 2014 included: PA Life, office*, Today's PA, Hays Plc, and Angela Garry's On-line Forum "PAs, EAs, VAs and Senior Administrators". Have your say - please do get involved!